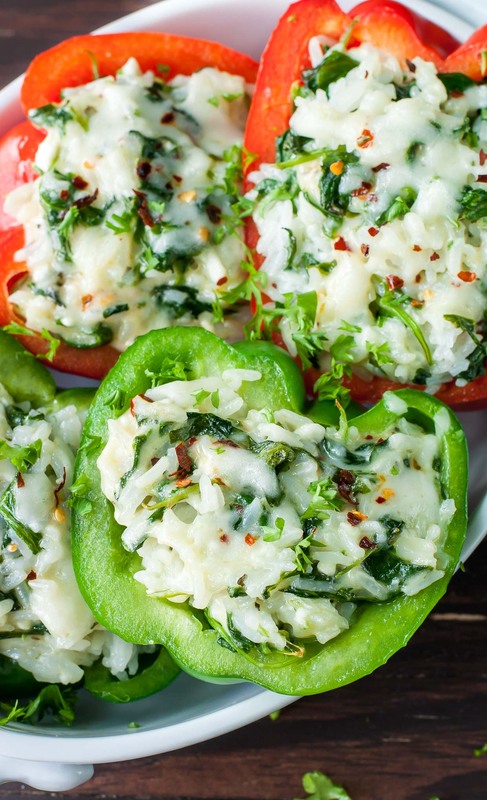 These Cheesy Spinach Stuffed Peppers are packed with an entire BOX of fresh baby spinach and loaded with so much flavor, you’ll forget you’re eating #alltheveggies – We’re LOVING this fun twist on classic stuffed peppers! I’m going to keep things short and sweet today because I want you dancing around the kitchen as soon as possible! Deal? Deal! This recipe was one of those “ohmygosh what on Earth is living inside my crisper? !” moments where my veggie drawer was near bursting at the seams. I had gone on a bit of a pepper spree on my last grocery run and had picked up spinach on BOGO to boot. Lots of perishable goodness that HAD. TO. GO!!! Stuffed peppers to the rescue! These tasty veggie stuffed veggies hit the spot as a speedy lunch and would make a great pairing to your favorite protein for dinner, or a great main dish to pair with a big salad for all the vegetarians out there. Super tasty. Super flexible. Super OMGMAKETHIS. That’s a word, pinky promise. Without further adieu, on to the recipe! As written, this recipe is gluten-free and gloriously vegetarian. I feel like this recipe would be really good with some daiya vegan cheese and some added veggies – mushrooms would be awesome and so would some sauteed onion and garlic or even shallots! Play around with it to suit your tastes but vegan stuffed peppers can be awesome! Feel free to pair these bad boys with some roasted/grilled chicken or the protein of your choosing; whatever floats your boat! 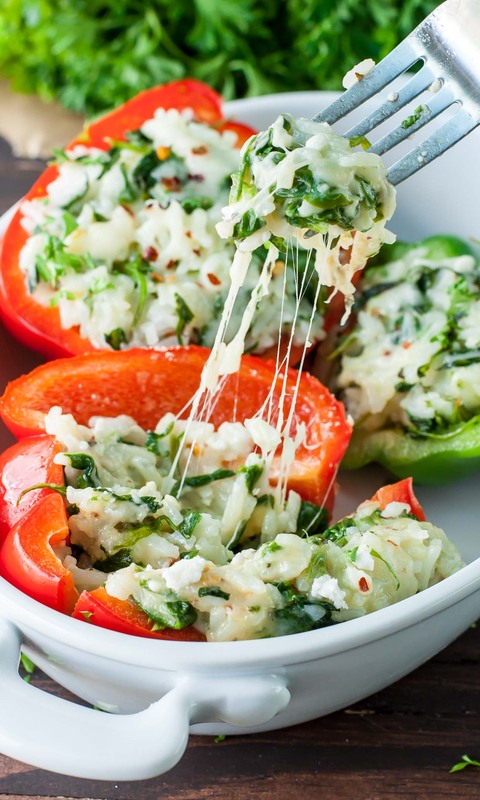 These spinach stuffed peppers are easy, cheesy, and oh so delicious! Serve them as a side dish or enjoy them as the main course; they’re beyond flexible! 1/2 tsp dried basil or try fresh! Cook rice in water until fluffy via your favorite method: stovetop, rice cooker, or pressure cooker. Depending on method chosen this will take 10 (pressure cooker) to 20 (rice cooker + stovetop) minutes. Heat a skillet with oil and sauté garlic and spinach until tender and fragrant. Season with basil, red pepper flakes, oregano, salt, and pepper. Add cheese, saving a little extra for topping if desired. Stir in your rice and mix well. Remove from heat. Slice your peppers in half, removing the veins, stems, and seeds. Stuff liberally with cheesy spinach and rice filling. Top with extra cheese (YES!) and red pepper flakes (spiiiiicy!) if desired. Bake on a foil-lined baking sheet until hot and melty! You'll bake them less for more crisp, al-dente peppers and a bit longer for super-soft tender peppers - the choice is yours! I baked mine around 8-10 minutes. For softer peppers, bake approx. 20 min. Garnish with fresh parsley and any extras you'd like and dig in! Nutrition facts below are an estimate provided by an online nutrition calculator. Adjust as needed. so . . . how were they?! Amazing! A few bites in I tired of eating like a civilized person, picked up my portable little pepper boat an proceeded to stuff my face while walking around the house looking for Paul. I think I got out a muffled “Food. Kitchen. SO GOOD!” before trotting back to the kitchen to finish inhaling my lunch. 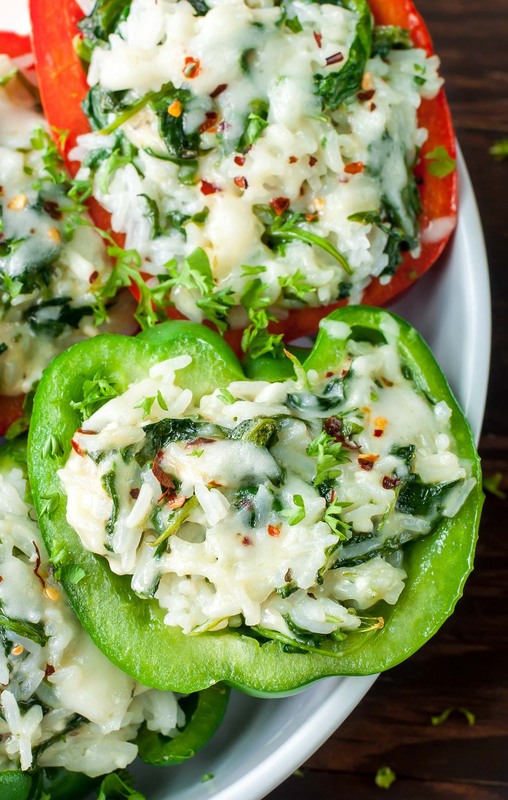 Serve these baller little bell peppers with a fresh side salad or your favorite protein. peter piper picked a peck of pickled peppers . . . I made this quinoa and mushrooms! So delicious! Followed this recipe to the letter. AMAZING! I HAD NO JASMINE RICE LEFT SO I USED “ZATARAINS CILANTRO LIME” AGAIN AMAZING! WILL DOUBLE SPINACH NEXT TIME. SO STOKED Rebecca! Glad you loved the recipe and cilantro lime rice sounds so super amazing… I need to try it! 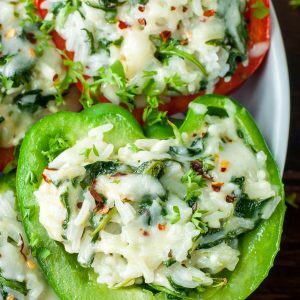 thank you for such a quick, healthy recipe for stuffed peppers. i have a lot in garden and goint to make this tonight. I already know its going to be great.! 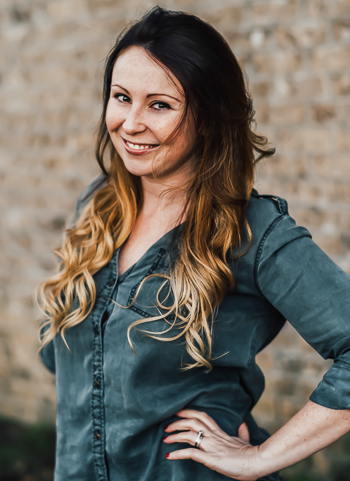 So super excited for you to try the Kathi! 🙂 Thank you! Question…Is the one cup of water for the 1/2 cup of rice? Oh man, these look so amazing! All of that cheese has got me drooling!